Moderate Republican – turned Independent – turned Democrat Tom O’Halleran announced today that he is running for Congress as a Democrat in CD 1 to succeed Democratic Congresswoman Ann Kirkpatrick, who is running for U.S. Senate. Former police officer, business owner, and Republican state legislator Tom O’Halleran today announced his candidacy as a Democrat for Congress in Arizona’s 1st District. O’Halleran is running in an open seat currently represented by Congresswoman and U.S. Senate candidate Ann Kirkpatrick. Living in Arizona’s First District for over two decades, O’Halleran has committed himself to improving the lives of others. In 1966 he joined the Chicago Police Department where he was an officer and one of the youngest homicide investigators in the city’s history. In 1979 Tom became a member of the Chicago Board of Trade (CBOT) where he opened up his own business and served two terms on the board of directors. O’Halleran is a past member of the Board for Prevent Child Abuse, Arizona, and was a founding member of Arizona’s Children’s Caucus at the legislature. Tom continued his commitment to public service during his eight years in the Arizona legislature where he built a reputation for taking on tough challenges despite the political consequences. 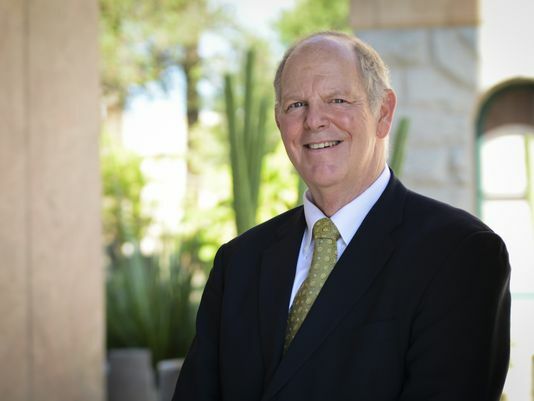 After serving his constituents in the legislature, O’Halleran maintained his commitment to protecting Arizona’s natural beauty as the President of Keep Sedona Beautiful and as a Chairperson on the Verde River Basin Partnership. I did not find a campaign web site in a quick search. If you find it, post a link in the comments. If you Democrats buy O’Halleran from us Republicans, keep in mind our no return policy. Let’s see… A representative who has a history of protecting kids, helping small business, helping the middle class, and caring about eductation? Yes “State” Senetor, there is no place for this man in the Republican Party. It is ideological extremists like you why Republicans are disgusted with the GOP. Currently, 32% have a favorable impression of the Republican Party, while 60% have an unfavorable view. Favorable views of the GOP have fallen nine percentage points since January. http://www.people-press.org/2015/07/23/gops-favorability-rating-takes-a-negative-turn/. You are good for a few more points drop. I’ve met this guy, he is a very dedicated old school Teddy Roosevelt style politician. He had the best record on the environment of any Republican and many Democrats when he was in office. I’m glad to see that he has come to his senses and is running as a Democrat. His style of sensible budget balancing together with true conservationism will be a good fit for this district, better than Kirkpatrick. He is thoughtful and listens to reason and was known for being very helpful to his constituents, all of them, not just the ones with money. 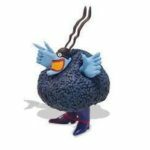 I will be happy to vote for him in the primary. I will also vote for him in the general and for him I may walk and knock on doors. I can’t bring myself to do that for Kirkpatrick. I may hold my nose and vote for her in the general, but I was not looking forward to it. look forward to voting for O’Halleran. I also think he will have great appeal to both moderate and progressive voters in this district. More progressive and less triangulating as a R than Kirkpatrick as a D.